Whether you're raining death from above or piloting your mecha into battle, the Gunslinger Bag is the best way to carry your every day needs. It's made of our finest cow leather and reinforced with woven nylon at stress points (a 2018 edition upgrade!). 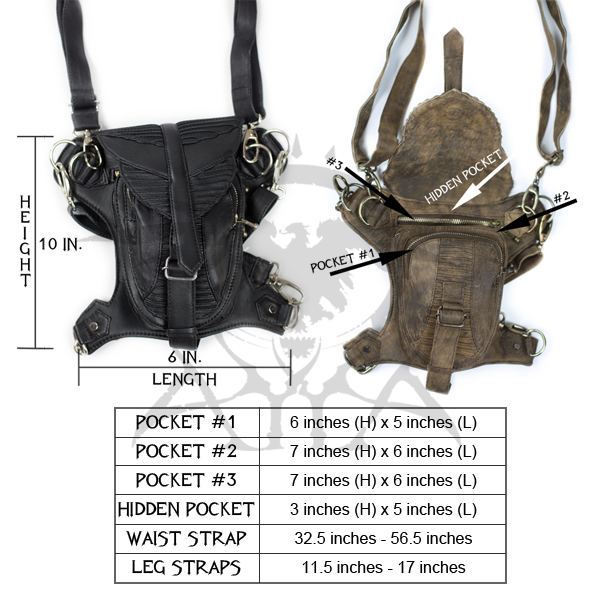 It converts from a shoulder satchel to a thigh holster, to a purse, or even a backpack depending on how you want to wear it. This limited edition comes spec'd out with colors that remind us of old heroes and gunfights. Gamers, this one is a nod to you. One highly adjustable size fits all humans and omnics. + Color(s): Special Limited "Deathmatch Edition"